The UC Davis Nuclear Magnetic Resonance Facility is a Core Science Facility operating under the Office of Research. 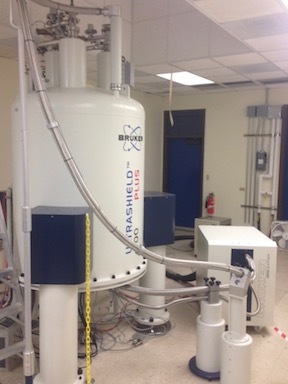 We provide qualified researchers in the biological, medical, and physical sciences access to state-of-the-art NMR instrumentation for spectroscopy and imaging. The facility operates ten spectrometers of varying purposes and capabilities. All of the spectrometers are multinuclear and a large variety of liquids, solids, surface, and imaging probes are available for use. Training is available.